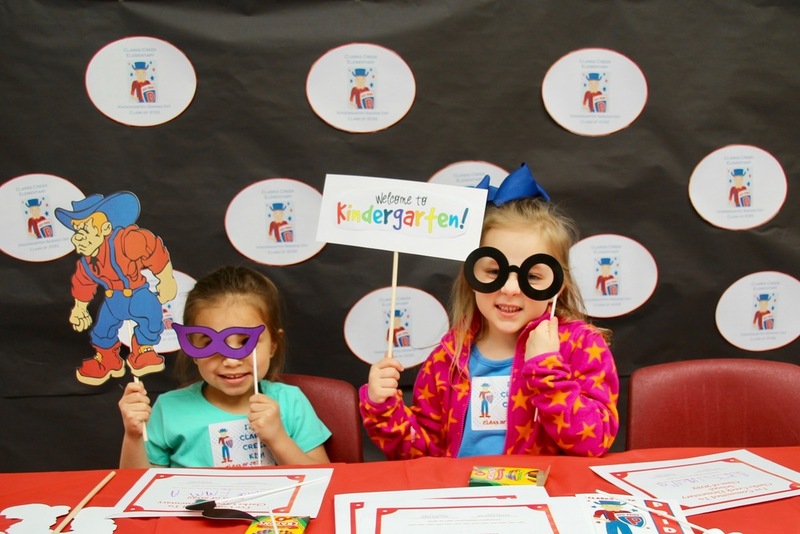 Pictured above, two members of the Clarks Creek 2019-2020 Kindergarten class were all too happy to pose for their moms and the cameras, after completing their "Signing Day" ceremony. Today is the day many parents and nervous, excited children have been waiting for - on-site Kindergarten Registration in each of the Plainfield elementary schools! 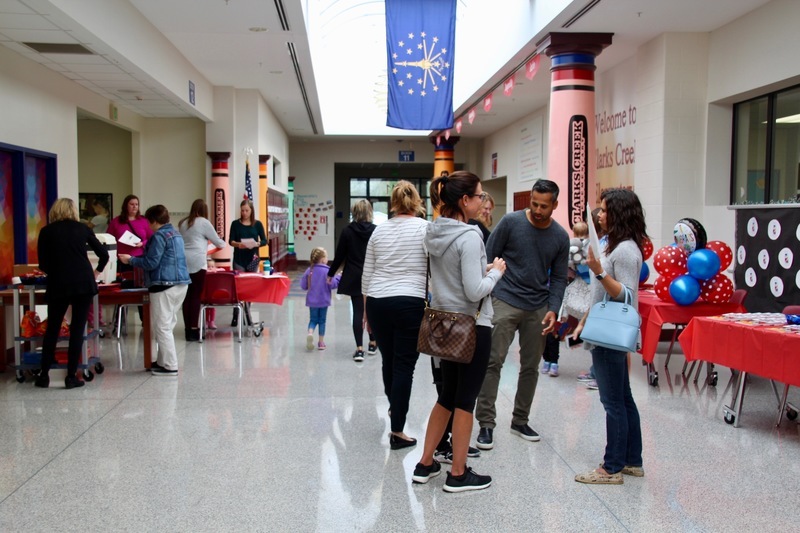 From 10-2, and again from 5-7:30, parents can complete the online registration process by turning in all paperwork, while also getting information about transportation, food services, PTO and many community resources. 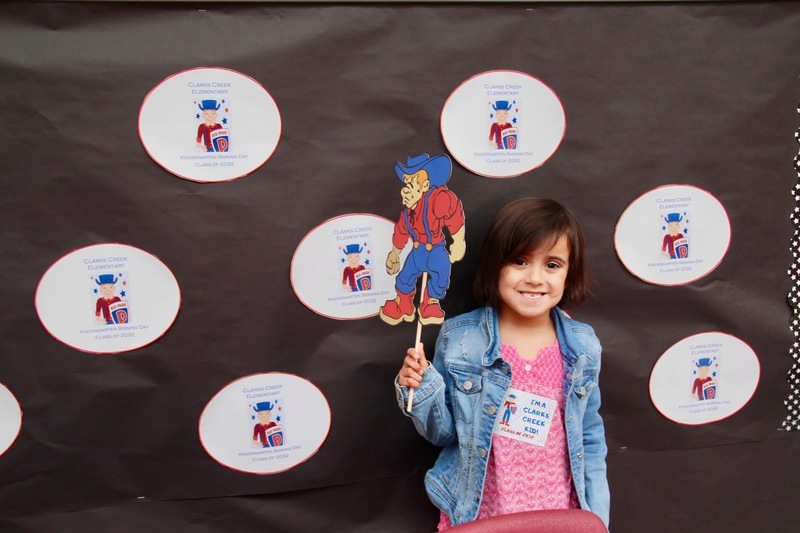 While much of the experience is designed to create both excitement and a comfort for the coming school experience, Kindergarten Registration also serves as an important opportunity to ask questions and ensure that all forms have been completed. 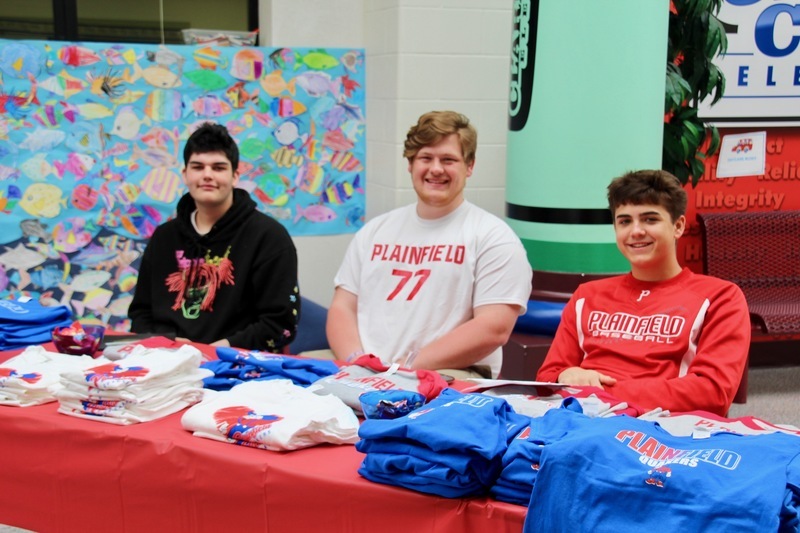 New this year, PHS business students created three designs of Plainfield Quakers t-shirts, sized just for our newest Quakers, and they will be selling the shirts at each school. Many thanks to our friends from Plainfield Fire Territory for bringing staff and trucks for children to explore. And to Jack's Donuts, Biggby Coffee and Chick Fil-A, for feeding our wonderful volunteers throughout the day. Welcome to all members of the PHS Class of '32!